Frisco, we have ourselves a winner. 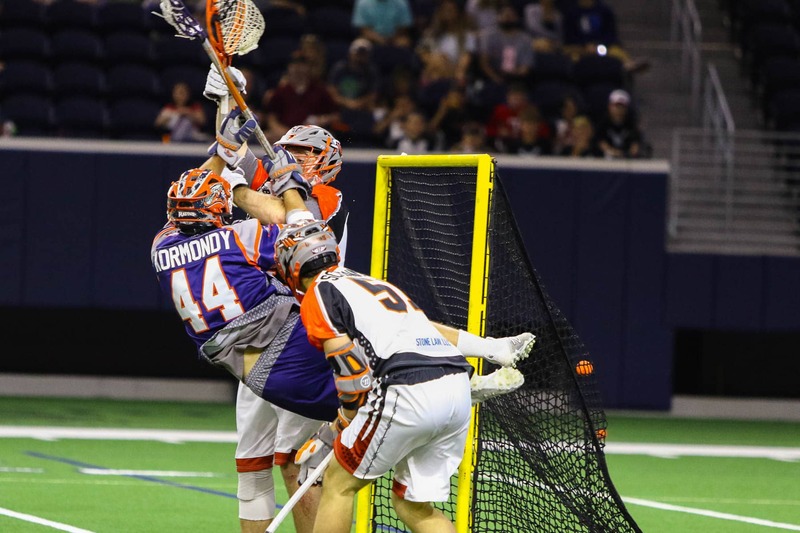 On Sunday afternoon at Ford Center, the latest professional sports franchise to call our bustling suburb home, the Dallas Rattlers of Major League Lacrosse, won their inaugural home game, 15-14 in overtime over the Denver Outlaws before several thousand happy fans. Ty Thompson delivered the game-winner 3:39 into the extra frame, scoring his fourth goal of the game. Dallas (2-1) also got four goals and three assists from Jordan Wolf and two goals apiece from Chris Bocklet and Ned Crotty. The Rattlers, who relocated from Rochester, New York after last season, succeeded in building a nice atmosphere both outside Ford Center, a great vibe which extended into the air-conditioned indoor arena which is part of The Star. Outside the building on Tostitos Championship Plaza, fans were treated to live music before the game and several tents set up around the turf field in front of the giant video screen which is visible from pretty much anywhere in Frisco. And once the game started right after 2:00pm, it didn’t take the home side long to deliver the game’s first goal. Wolf did the honors, scoring his first of four goals on the afternoon, coming from behind the Denver net to make it 1-0 just 2:20 into the game. Wolf would also assist on Thompson’s first goal later in the first period. Denver (0-2), which got four goals from Eric Law and a hat trick from Matt Kavanagh, got two goals from Law late in the first period to deadlock the game at 3-3 heading to the second quarter. In the second 15-minute quarter, the Outlaws and Rattlers traded goals and headed to halftime tied 6-6. One of the highlights from halftime was a lucky fan who won a $10,000 outdoor barbecue setup from contest sponsor Premier Grilling by successfully scoring a goal at close range. Just like in the first quarter, the Rattlers again wasted little time in pulling ahead. This time it was Jack Near who scored 56 seconds into the third quarter on a goal assisted by Wolf to make it 7-6 early in the third. Law completed his hat trick 3:14 into the second half to make it a 7-7 contest. Back-to-back goals by Wolf, who scored his second of the game as he was falling down, and Crotty put Dallas up 9-7 with about five minutes left in the third. 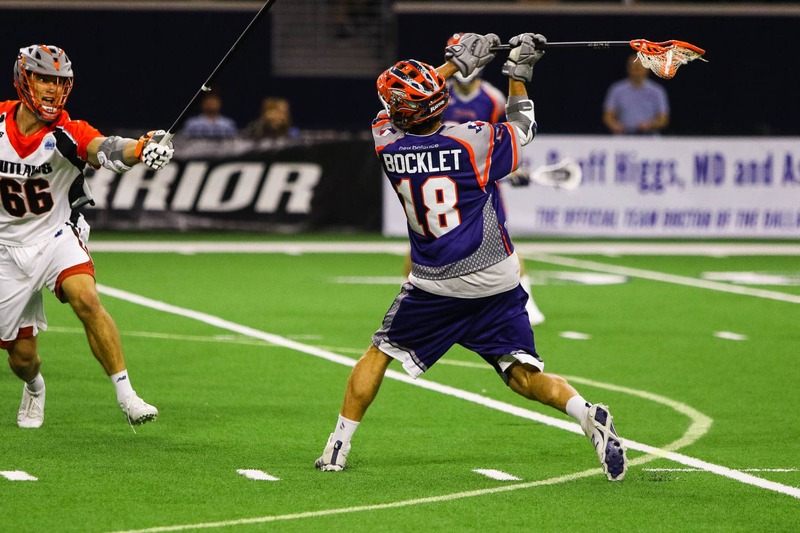 After Denver’s Drew Snider cut it to 9-8 with his goal with less than four minutes remaining, Bocklet scored 39 seconds later and Wolf completed his own hat trick with 21 seconds remaining in the third, giving Dallas an 11-8 lead. 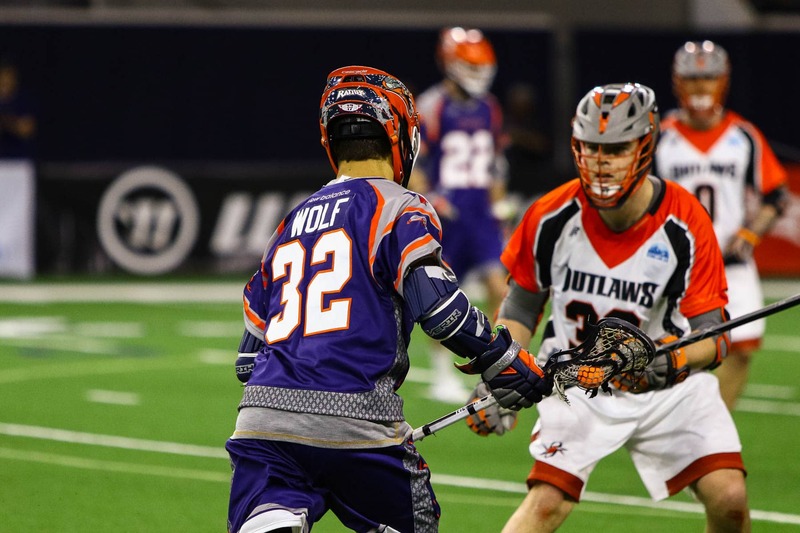 But the Outlaws outscored Dallas 6-3 in the fourth quarter, getting back-to-back goals from Kavanagh to help force the 10-minute sudden-death overtime. However, Thompson ended it 3:39 into the extra frame with his fourth goal of the contest, a tally fittingly assisted by Wolf. Thompson’s tally sent the engaged crowd home happy. The several thousand in the stands were raucous when they needed to be and helped create a nice in-game atmosphere for the first of seven home games the Rattlers will host between now and early August. Dallas will now hit the road for the next two weeks, playing at Boston and then at Ohio before returning home to host Atlanta on May 19 at Ford Center. 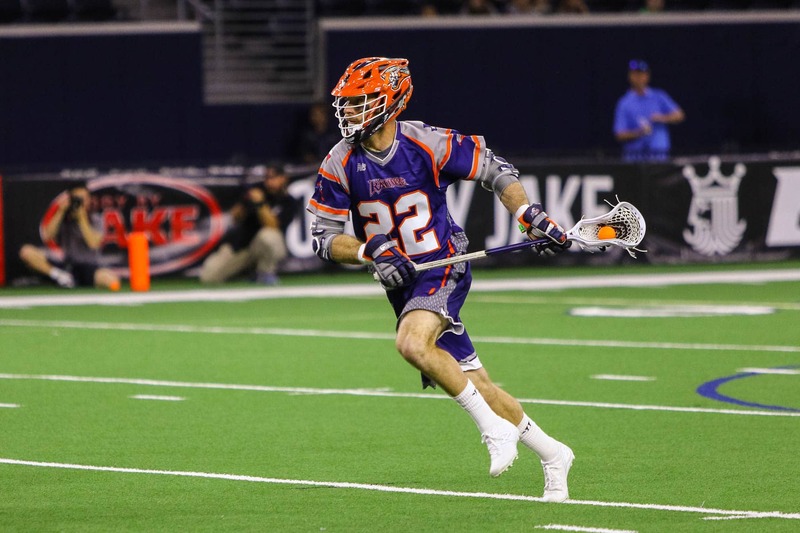 So, if you can appreciate a game with lots of great athletes, where speed, agility and great all-around skill, and of course plenty of goal-scoring is the norm, then come check out the Dallas Rattlers. Normal games last just over two hours and the Rattlers do play in the air-conditioned confines of Ford Center, another plus in what figures to be a hot summer. And the players sign autographs on the field after each home game, another reason to check out this burgeoning sport in the Lone Star State. Since we tape all our LIFESTYLE PROFILES vides in the National Breast Cancer Foundation studios, the opportunity to interview Kevin Hail was an honor and a real treat for us. Son of the NBCF founder, Kevin is changing the way those diagnosed with breast cancer are treated and helped along the survivor journey. Watch as we learn about the founding of NBCF, the packing parties, and Kevin’s favorite cereal box cartoon character! As we age, our bodies go through a variety of changes. Along with gray hairs and hot flashes, we may start to notice mood changes, decreased energy levels, “fuzzy” brain, decreased libido, and weight gain in the stomach area. Our outward appearance isn’t the only thing that changes as we go through life. During our 40s and 50s, we begin experiencing significant hormonal changes and the symptoms are tough to identify. Many of us assume we’re just tired and unfocused from our everyday routines, but when your energy levels drop significantly in a short amount of time, it might be time to speak with a trusted pharmacist about Hormone Replacement Therapy (HRT). Why Should I Consider Hormone Replacement Therapy? A number of medical conditions can affect the body’s natural rhythm and lead to hormone imbalance. Additionally, as women transition through menopause, they experience rapid hormonal changes that may leave them feeling irritable or fatigued. When your hormone levels are imbalanced, you may experience a number of side effects such as fatigue, weight gain, irritability, and sleeplessness. Hormone Replacement Therapy can combat these frustrating symptoms by balancing out your body’s hormones. HRT is often directed towards menopausal women, but men can benefit from this treatment as well. As men age, their testosterone levels naturally decrease. However, HRT can provide steady testosterone levels even after the body stops producing this hormone. Not only do these hormones increase mood and energy levels, they can also help male patients maintain bone density, muscle mass, and reproductive health. Rather than supplementing low hormone levels with a synthetic replacement, many physicians are turning towards natural solutions. Bio-Identical Hormones are comprised of natural plant and animal materials that are compounded by a pharmacist. These compounds mirror the exact structure of the hormones found in our bodies. In fact, they are so similar that our bodies are unable to distinguish between bio-identical hormones and the hormones we naturally produce. Another benefit of Bio-Identical Hormones is their customizable aspect. Pharmacists do not prescribe a general supplement to all of their patients. Instead, Compounding Pharmacists create a unique supplement for each individual person based on their symptoms and medical needs. This custom-tailored approach sets Bio-Identical Hormones apart from their synthetic counterparts that only come in pre-determined formulations and doses. Just as pharmacists can customize the formulation of each supplement, they can also determine the most effective method of delivery for each patient. Orally-dosed capsules allow for a slow and steady release of the hormones, while topical creams and patches allow you to absorb the treatment directly through your skin. No matter your symptoms or medical requirements, the professionals at RenueRX Pharmacy can create a solution that fits you…. offering a wide range of health solutions including supplements, immunizations, dermatological treatments, and of course, HRT. Talk to a dedicated, friendly staff who wants you to experience the best health with treatments to maintain a vibrant, active, and focused life! If you live in or around Frisco, you’re likely familiar with references to the “Five Billion Dollar Mile” — a one mile stretch along the Dallas North Tollway from Warren Parkway to Lebanon Road, expected to comprise four mixed-use developments. Incorporating The Gate, The Star, and Frisco Station, this hive of construction activity has been in progress for the last couple of years yielding great benefits for the area and firmly marking Frisco as a destination point to live, work and play. However, as the area evolves it’s no secret the Frisco’s growth spans beyond this single mile segment. In a release yesterday Craig Moen, Chairman of the Frisco Economic Development Corporation clarified the current branding of the major developments along the Dallas North Tollway, either announced or under construction. The ‘corporation’ will market Frisco more holistically,” said Moen, “while emphasizing development along the entire stretch of the Dallas North Tollway (DNT), between S.H. 121 and U.S. 380. Frisco’s ‘urban spine’, as identified in the city’s Comprehensive Plan, will be branded using Frisco’s ‘North Platinum Corridor’. Let’s look at how the three key projects of the North Platinum Corridor have progressed since they first broke ground. The Dallas Cowboys World Headquarters and practice facility of the Dallas Cowboys opened in August 2016. Featuring The Ford Center, a multi-use event center and indoor athletic facility, is the “first of its kind” public-private partnership between the Dallas Cowboys, the City of Frisco and Frisco ISD. 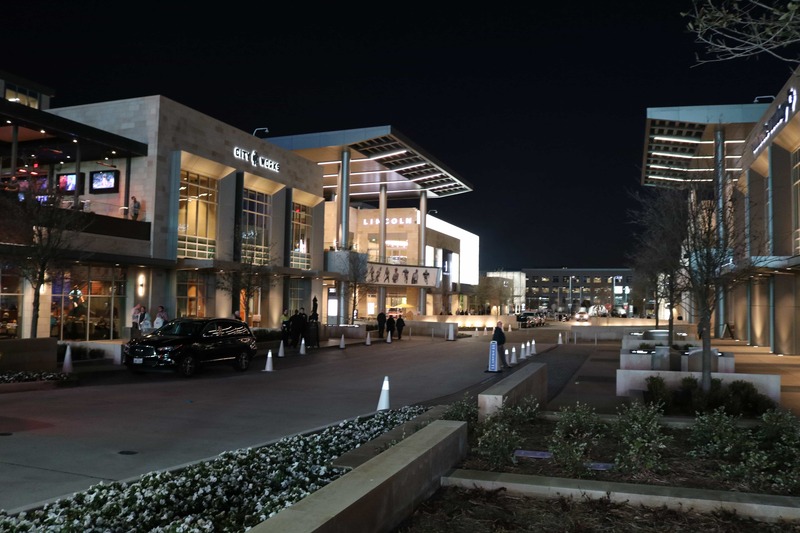 The Star, otherwise known as The Entertainment District, is 91 acres of retail, dining, and office space, as well as a 60,000-square foot gym, the Omni Frisco Hotel, and the Tostitos Plaza, where visitors can enjoy outdoor events and activities. 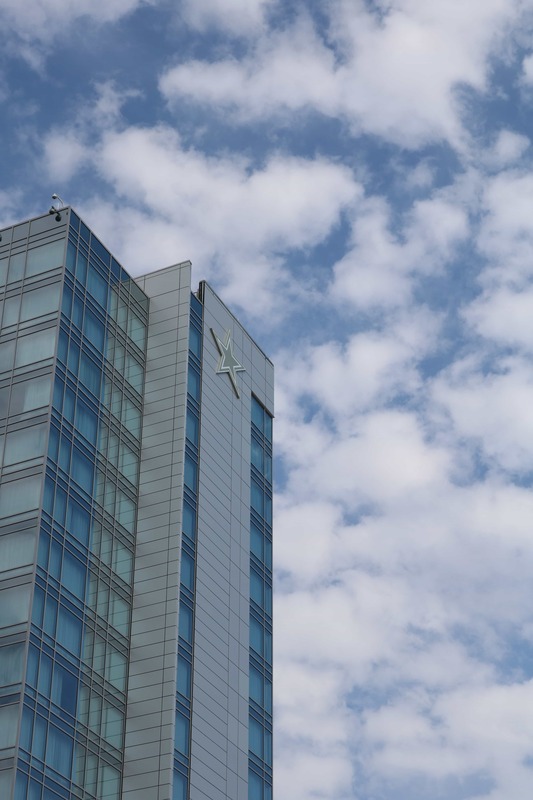 While many of The Star’s amenities have been fully operational for more than a year, “The Entertainment District” held their official ribbon-cutting ceremony in March 2018. This exciting new Urban Development off Gaylord Pkwy near The Star is the largest project, comprising 242 acres with a mission of delivering a unique, smart, creative, and healthy environment. A mixed-use community with luxury office space and apartments, retail, restaurants, medical facilities, wellness amenities, two hotels (Marriott AC and Marriot Residence Inn) and conference center. The area will also incorporate 29 acres of green open space around creeks and trails for relaxation, gathering, entertainment, and events with a strong emphasis on walkability. Frisco Station prides itself on being a Wellness Enhanced Development. On-site facilities will support leisure pursuits, recreational activities, creative expression, and healthy dining options, alongside unparalleled medical and fitness resources. The first building, a seven-story office facility, opened late 2017 just a year after the initial groundbreaking. When completed the development will house more than 3,000 residents and provide over 10,000 future daytime employment opportunities. The exploration into an innovative, autonomous vehicle pilot program follows an earlier announcement from Uber Elevate and Hillwood to develop one of the nation’s first vertiports at Frisco Station. A mixed-use development funded by Dubai-based company Invest Group Overseas (IGO), The Gate spans 41 acres located at the DNT and John Hickman. In the works for over two years, it broke ground in Oct 2016 with a 350-unit multifamily development known as Domain at the Gate. June 2018 Development Update: Read Mayor Jeff Cheney’s address from the State of the City Luncheon, which references the above projects and the Frisco North Platinum Corridor. In addition to the rebranding of the Five Billion Dollar Mile, earlier this month Ron Patterson was officially promoted to President of the FEDC. A familiar face in Frisco Ron has served as interim President since December 2017, following the retirement of Jim Gandy who served for 21 years. Patterson has worked in city government more than thirty years, which includes his initial service to the City of Frisco from 1993 – 2000 plus two jobs as a city manager in other Texas communities. He graduated from the University of Texas at Dallas with a Bachelors in Public Administration; he completed his Master of Public Administration at the University of North Texas. Patterson served 23 years in the United States Air Force / Texas Air National Guard. He’s been married 32 years and has two daughters. Patterson says he’s committed to the city vision and is dedicated to bringing high paying jobs to Frisco. As an assistant city manager, Patterson has had a leadership role in city capital projects, as well as public-private development projects. As we venture through spring the days get brighter, longer, and warmer. We begin to peel off layers of clothes and bare more skin. Bathing suits, maxi dresses, sundresses, and a little exposed skin are on the radar because summer is right around the corner. We all want to feel at our summer best when we dare to bare. To be able to flaunt our best summer self we must get active, opt for healthy food choices, and protect our skin against the intense Texas sun. Start by getting active and in motion more often so you can flaunt your summer self comfortably. Maybe take your exercise outside to absorb a little extra vitamin D (which reduces heart disease in addition to making you feel better). Frisco Parks and Trails: Consider hiking, walking, running, or biking on the Frisco trails to burn off excess pounds acquired during the cooler temperatures. If you’re unsure about where the trails are located near you, browse the directory of parks and trails online. Frisco has numerous trails available from a half mile up to 8 miles long. If you’re looking for short and sweet try the Lone Star Ranch Trail (0.5 miles) or Griffin Parc Trail (1.1 miles). Since both trails offer a short distance they tend to be feasible for moms with small children that want to walk along versus riding in a stroller. If you’re seeking a longer workout try Frisco Mountain Bike Trail that offers a total of 8.1 miles and 650 feet of climbing broken into various loops. Try a Local Fitness Studio: I’ve shared my experiences trying a variety of local fitness studios in my Frisco Fitness Trials series. I’ve learned that Frisco is loaded with fantastic calorie-blasting, muscle-building ways to get fit. A sure-fire way to look slim and tone in your bathing suit this summer. Sign up for a series of Pilates Reformer exercises at Beyond Pilates Studio. The reformer helps to improve range of motion, core strength, posture, and flexibility. Improved posture helps to create the appearance of a slimmer and longer body. Beyond also offers the Pilates Hybrid Interval Training (PHIT) methodology that combines high and low-intensity levels to burn serious calories. You will be poolside ready before summer! We’ve all heard the saying, “You are what you eat.” Aim for fruits with 90% plus water per volume such as watermelon, strawberries, grapefruit, and cantaloupe. Couple with pineapples, oranges, and raspberries that have 80% plus of water per volume. Opt for vegetables such as celery, cucumber, lettuce, tomato, and zucchini that have 90% water content. Water: Stay hydrated and drink 8! Make sure you’re drinking at least 8 cups of water per day to stay hydrated. Not sure if you’re staying hydrated? Try the skin test. Lightly pinch your skin and if doesn’t pop back up or looks creepy you might be dehydrated. Vitamins: RenueRX in Frisco has great advice on how to properly use vitamins and supplements to feel and look your best year-round. Prefer clean eating but have a hectic schedule? Vitality Bowls has you covered with yummy and healthy options that have no added sugar, artificial preservatives, trans fat or fillers. Forgot to pack your lunch for work? As a spinach lover, I opt for their nutrient-rich spinach salad filled with goat cheese, quinoa, strawberries, and almonds. This option supplies protein, carbohydrates, fiber, and vitamins all in one. And it’s yummy! Another healthy option in Frisco is UP Inspired Kitchen. 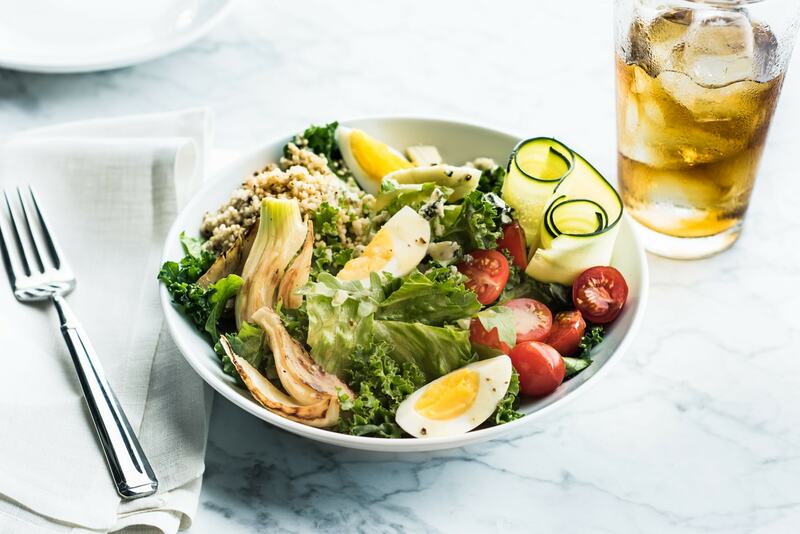 UP prides itself on its carefully sourced ingredients, offering healthier options like gluten-free, vegetarian, paleo and whole 30 options on their menu. If you’ve ever found yourself torn between delicious and health-conscious, UP Inspired Kitchen gives you the best of both worlds. Spring and summer bring the beautiful sunshine. Many of us love the sun and spend more time basking in it during warmer weather because it affects our mood and puts us in a feel-good state. But the sunshine is a double edge sword! To better understand how to protect skin during the Texas summer months I reached out to Cathy Hageman owner of SkinBasix for her best summer skin care advice. “As we go into the warmer seasons it’s good to amp up our exfoliation routine. If you’re using Vitamin A serums I would be cautious in doing extra exfoliation since you’re getting that with the serum. Exfoliating helps to clear out our pores and increases circulation. A great product for exfoliation that is gentle enough to use daily is Dermalogica Daily Microfoliant. And if you’re considering a chemical peel in the spring or summer, Cathy advises that you wait. Chemical peels are designed to take layers of skin off. When you have this service done you’re compromising the skin’s barrier leaving it exposed to sun and environment. Unless you’re planning on staying inside during the recovery time after the chemical peel, I advise waiting until fall or winter when we naturally stay inside due to the cold. If you prefer little or no makeup during the summer months opt for mineral based powders that provide the touch of makeup with the benefits of SPF. Skin Basix has a wonderful powder via the Osmosis line. My personal favorite during the spring and summer months is a tinted moisturizer with SPF 55. It evens out my skin tones, moisturizes, and provides SPF all in one. For blonde or highlighted hair, Shimmering Lights shampoo or conditioner is a must to have on hand. It will tone down the yellow and brassiness and help to leave your tresses looking like you just got them highlighted. You can find the product at Target and it’s reasonably priced. At your next mani/pedi go for shades of red or pink. These hues have been all over the red carpet this season and pop just as fabulous on your nails. If you prefer ‘DIY’ or want trendy nail colors to have on hand then try ‘Turban’ by Chanel. They always have amazing shades of rich looking reds. Looking for a striking red hue that isn’t as pricey? Consider ‘Pomodoro,’ a shade of crimson by Bobbi Brown. Or why not get pretty in pink with ‘Blush Worthy’ by Essie Gel Polish? Both are sold at Nordstrom. Red and pink not your thing? Then opt for bright to light blue and purple hues, or vivid shades of greens. With these summer tips you will be able to effortlessly flaunt your summer best as you dare to bare! What are your go-to strategies to get summer ready?